Once upon a time, yoga was for hippies and gap year students in Goa. You had to be alternative, bead wearing and bearded, and the practice brought to mind images of crazy contortion. How things change. According to the Yoga Alliance and Yoga Survey, the number of people practising yoga in the US has nearly doubled since 2016, from 20 million to some 37 million. That means one in every 10 people is taking part: a trend mirrored in Europe. The yoga evolution has resulted in a swathe of retreat centres springing up in Mallorca aimed at delivering some serious time out. There are a number of ravishing retreats in the Balearics combining total therapy for body and mind with luxurious surroundings, in stunning natural settings. Yoga in Mallorca in 2019 fuses style and substance in a way that will delight your senses and soothe your soul. Relax, recharge and escape for a power break: when life gets hectic, there’s always magical Mallorca. Here’s our pick of tried-and-tested, indulgent yoga retreats on the largest Balearic Island. One destination that perfectly captures yoga’s new mood is Cal Reiet. This beautiful country manor set in lush landscaped grounds offers boutique accommodation and masterful programmes. You’ll eat delicious local, organic, plant-based food, be guided in yoga and meditation by renowned teachers and spend time relaxing around the pool and in the gardens. Mindfulness workshops, seminars and holistic wellbeing events are incorporated into some group retreats. The programmes vary in content and duration, but all nurture the five pillars of wellbeing: physical, mental, emotional, spiritual and social. You can also opt for a completely personalised programme to suit your needs if you prefer, and there are a range of spa treatments available. An initial free consultation with one of Cal Reiet’s Wellbeing Coaches is recommended if you’re unsure what to book and want some professional guidance. Yoga, massage, life coaching, walking, nourishing meals and nutritional workshops: retreats at Ananda Yoga include some or all of these for a powerful healing break. 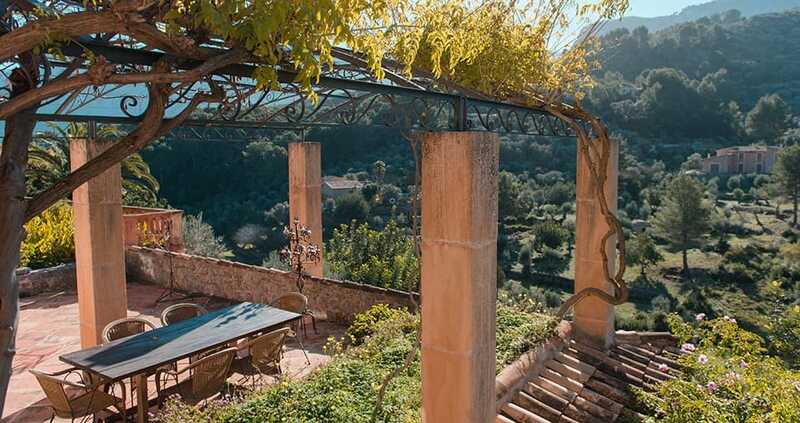 Guests stay at luxurious Finca Son Salas located on 120 acres of land filled with almond, orange and lemon trees, in the peaceful Sóller valley. Reconnect with nature, enjoy fresh, nutritious food, and take part in yoga classes including Hatha Flow and Facial Yoga, with excellent teachers. The retreat’s privileged location means that guided hikes in the Tramuntana mountains are often scheduled, for those who wish to join in. There are private and shared rooms available, and bespoke yoga holidays can be put together upon request. No fact file about yoga in Mallorca would be complete without a mention of Bodhana. Much loved on the island, this massage, meditation and yoga centre in Puerto Portals runs two to five-day retreats involving yoga, meditation, awareness, therapy and personal growth. Nice accommodation in Puerto Portals and vegetarian meals are included, and the centre consistently attracts internationally renowned teachers so you can be sure of a high level of instruction. Winding up a quiet road in the north of the island to Ashtanga Mallorca, you know you’ve arrived at a place of sanctuary. Situated between Campanet and Pollenca is this peaceful haven offering private accommodation in cosy bungalows. All holiday packages include two daily Ashtanga Yoga sessions known to detox, energise, relax and calm, plus sound healing with Tibetan singing bowls. Meals are tasty and vegetarian. The organisers take a free and flexible approach, so you can join in as much or as little as you feel like, and there are some truly beautiful beaches and mountain hikes within a short drive. Sandra Van Olmen is an extraordinary woman running extraordinary retreats. Over the course of four days, this yoga and meditation instructor, life coach and baptized shaman changes lives with her methods. Sandra takes participants on a journey of discovery not only with Vinyasa flow, Hatha, Kundalini and Surya Namaskar yoga but with modalities such as astral travel guided meditations, stem cell regeneration, shaman knowledge and chakra readings. Guests stay in a small family-run hotel by the beach in Can Pastilla, just five minutes from Palma airport, with breakfast and buffet dinner included. There’s a sense of expansiveness at Tramuntana Flow, a dedicated modern retreat in the village of Sa Cabaneta with views over to the mountains. The large main studio is flooded with light, the yoga terrace boasts lovely views across the valley and the garden and pool areas are perfect for lounging. Zen is the theme inside the main house with its five bedrooms, four bathrooms, big kitchen and social areas: all warm, relaxing spaces, and just 15 minutes from Palma. The centre hosts a variety of programmes encompassing yoga, meditation and nutrition, for groups. Email info@tramuntanaflow.com for availability and rates. 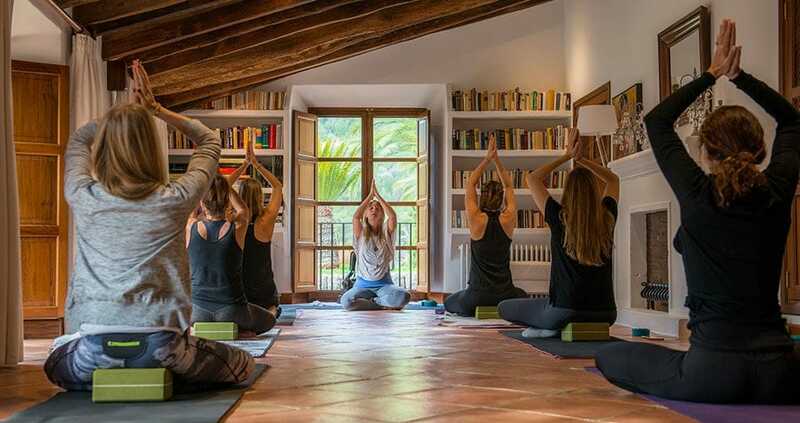 An eternally popular Mallorca yoga retreat is La Serranía. Beautifully located in verdant countryside near Pollenca, La Serranía runs a variety of yoga retreats from March to November, some incorporating hiking and mindfulness, and some including Thai massage. Very tranquil, with tasteful, restful décor, this is the place to focus on yoga and relaxation in total peace and experience fine Mediterranean cuisine. A ‘healthy paradise’ is how Escapada Health describes itself, and this could not be truer. Right away from it all, close to the village of Capdepera in a lesser-known part of east Mallorca, is 500-year-old finca Ses Set Cases. Wonderfully renovated and comfortable, it’s a luxurious way to retreat from the world. Here, a crack team of specialists harness the power of Chinese medicine, Ayurvedic nutrition, yoga and mindful fitness to support guests in recharging and rejuvenating. Just spending time in the blissful natural surroundings of Ses Set Cases has an effect, but the combination of therapies (including acupuncture if desired), yoga practice and guided countryside hikes will have you feeling wholly recovered from stress. While a long-haul destination like Thailand or Bali can seem like the ideal place for your yoga holiday, choosing Europe means less hassle and shorter travel times. To optimise the effects of a yoga retreat, consider cutting the jet lag and going closer to home. Mallorca, with its convenient flight schedule, accessibility and stunning natural environment, presents an attractive option. We hope you have found this article about the 8 of the best yoga retreats on Mallorca useful and that you have many memorable stays in Mallorca as a result of our recommendations.